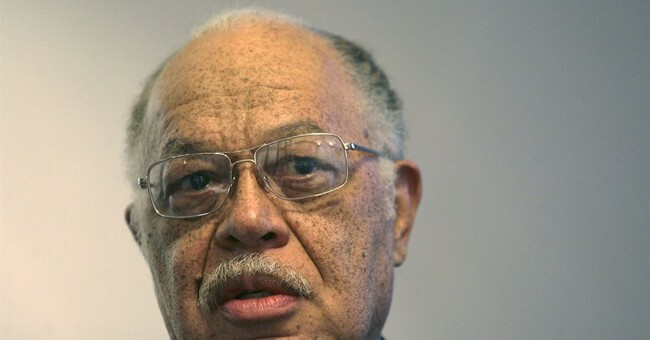 The new movie about Kermit Gosnell, the notorious Philadelphia late-term abortionist eventually convicted in the deaths of three infants, made it into the Top 10 films at the box office this past weekend--an impressive feat for a crowd-funded film. But you won’t hear the mainstream media talking about it. “This has been achieved despite the mainstream media virtually refusing to review the film, despite it opening nationally,” McAleer added. Gosnell: The Trial of America’s Biggest Serial Killer, directed by and starring Nick Searcy, is a true crime drama that details what amounted to a 30-year killing spree of Philadelphia abortionist Kermit Gosnell. Far from being just a typical screed against abortion, the film explores the investigation and trial of Gosnell, along with efforts by both the political and media establishments to cover it up. The independently-produced film opened to a limited release nationwide--approximately 650 theaters--on Friday, October 12. According to Gosnell’swebsite, the movie “was one of the most successfully crowdfunded films in history.” Producers raised $2.3 million in 45 days from nearly 30,000 contributors. Critics and audience members alike have responded quite favorably to the film so far. It received a fresh critic score of 67% on the popular movie review website Rotten Tomatoes, and a 99% score when it came to general audience approval, for example. Yet in the days leading up to (and since) Gosnell’srelease, both mainstream and entertainment media have largely ignoredthe film--in spite of its’ opening weekend earnings of $1.2 million, an impressive amount considering that most movies open to an audience five times the size of Gosnell’s. TheGosnell producers refused, and walked away from the deal. Showtimes and locations for Gosnell: The Trial of America’s Biggest Serial Killerare available here.